I lived in Montréal for almost two decades and cherished its multicultural culinary treats. Traditional neighborhoods abound, and I wandered from French bistros to little Italy to Schwartz’s smoked meat deli to my favorite shawarma restaurant whose pita sandwiches fueled me through university. I carry two beloved Montréal memories with me: the sweet beauty of maple syrup (Québec produces almost three-quarters of the world supply), and the fragrance of hot mint tea wafting from a delicate glass (an exquisite tradition originating in northwest Africa). Years later, as a mother and big city-dweller, I am preoccupied with my son’s growing up without understanding how plants grow into the food we eat. How joyous to find two sugar maples in our garden! My son and I tap them every year, and the cost of fuel to cook down the sap is more than the price of a few jars at the store, but seeing our full bottles lined up on the kitchen counter makes the effort worthwhile. 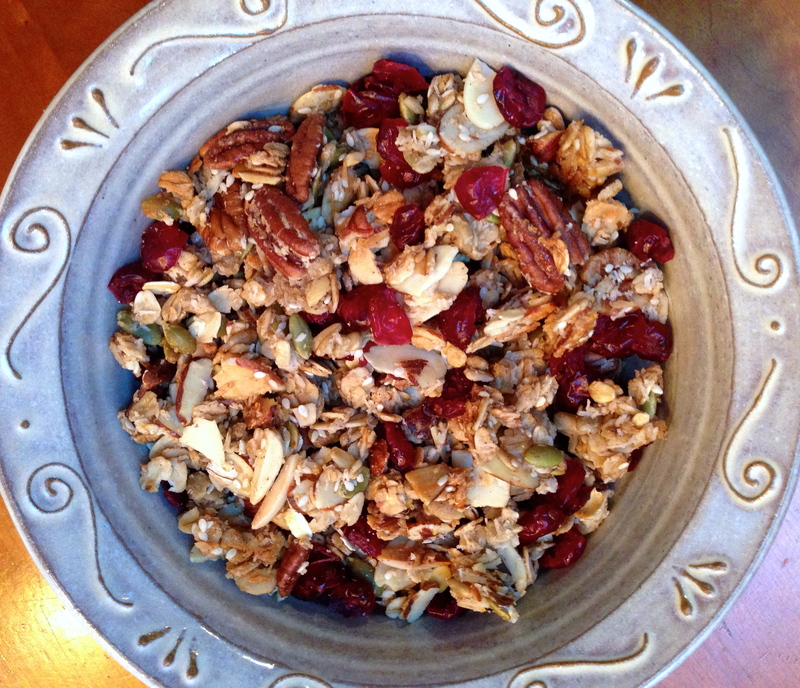 Never enough to get us through to the next year, some syrup still gets put aside for this delicious, nutty granola. You’ll find more about how to tap a maple tree on my website, foragedlove.com, and find more recipes as well as the story of our garden transformation in my new book, Unearthed. 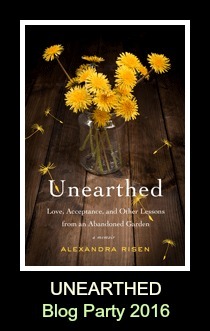 An easy maple granola recipe from author Alexandra Risen paired with her memoir, UNEARTHED about digging in her garden— and into the past— and finding secrets, beauty and acceptance. Preheat the oven to 300°F. Cover two sheet pans with parchment paper or foil. Mix together maple syrup, vegetable oil, vanilla, cinnamon, and salt in a small bowl. Combine the remaining ingredients (except raisins or dried fruit) in a large mixing bowl and stir in the liquid mixture. When cool, stir in raisins or dried fruit. Store in airtight container for up to two weeks.